Portrait of an unidentified Native American woman. She is sitting in front of a painted studio backdrop of a piano, and is holding a magazine or newspaper. She was likely a former student at the Forest Grove Indian Training School. The choice of props may have been intended to symbolize her education in reading and music. 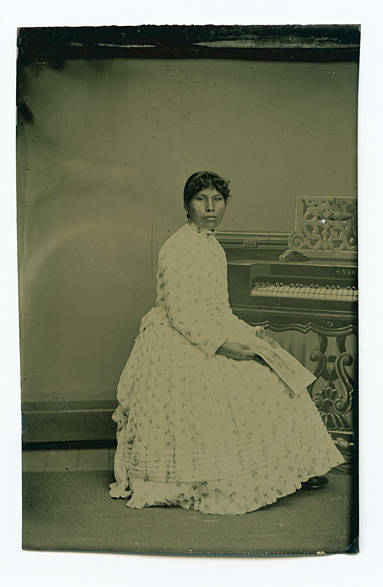 The back of the photograph includes a handwritten note by the subject, describing herself as an "ugly girl" who worked hard, did dress-making, and was a musician. 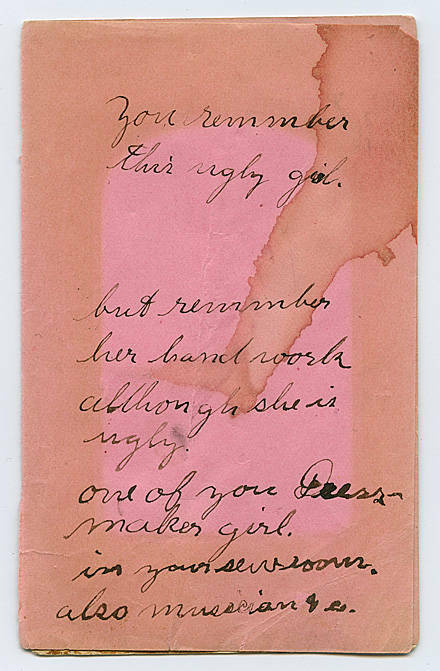 The note may have been addressed to Minerva "Minnie" J. Walker, whose husband Samuel was the shoemaking instructor at the school (see a similar inscription on the back of another photograph, PUApic_008315). The photograph is a tintype and was probably taken in the late 1880s. 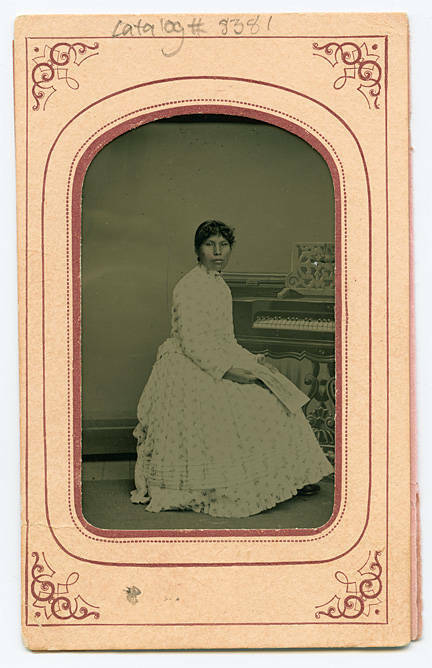 The tintype format was uncommon by that time, but it was cheap and easy to send in the mail. Handwritten text on back: "You remember this ugly girl. but remember her handwork although she is ugly. one of your Dress-maker girl. in your sew room. also musician & c.